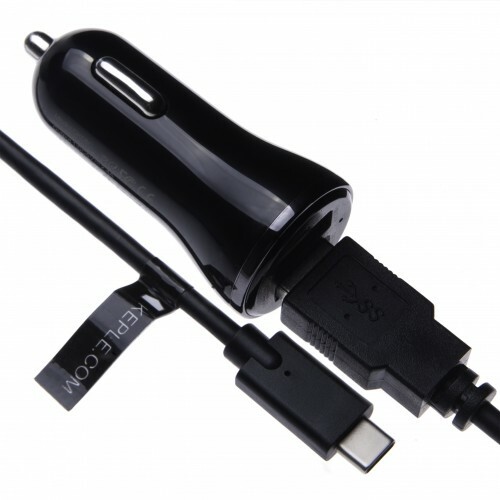 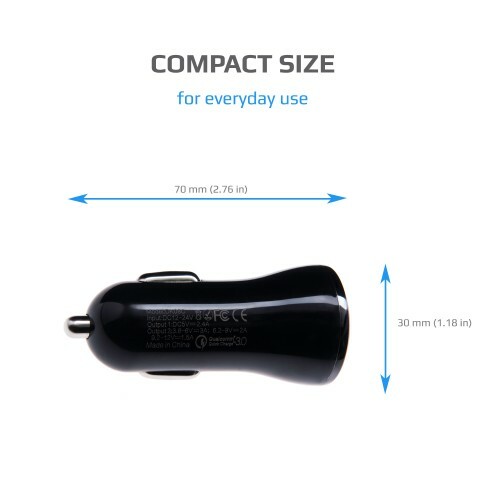 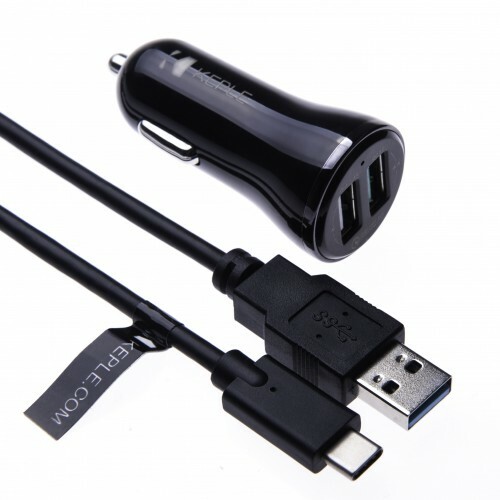 This Fast Charge Dual Port USB Car Charger is super Compact and Universal. 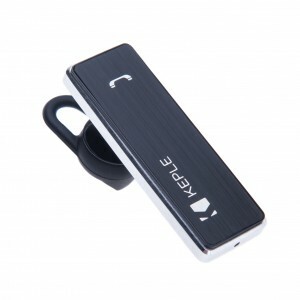 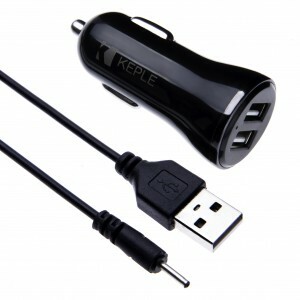 Able to charge nearly all kinds of electronic devices at an incomparable speed simply with a USB cable. 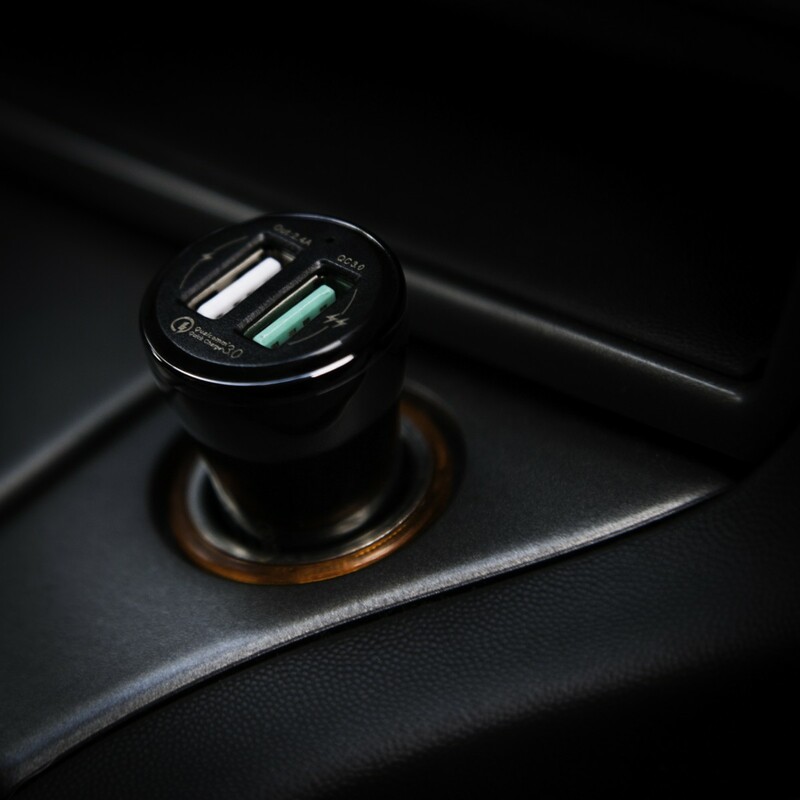 SIMPLE AND SMALL DESIGN: Small, light and compact Car Charger with dual USB ports and LED indicator. 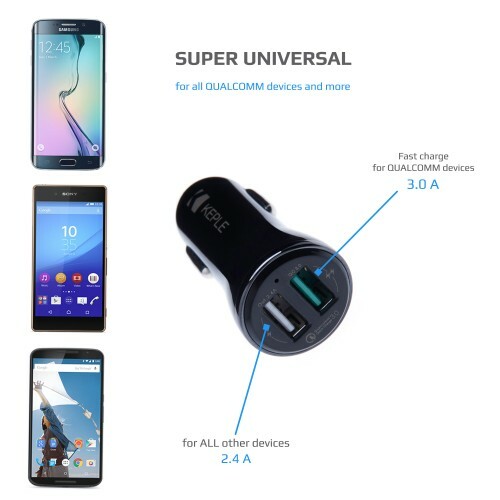 One charger with 2 dedicated USB ports allows you to recharge two devices at once (charge two phone or two tablets at once). 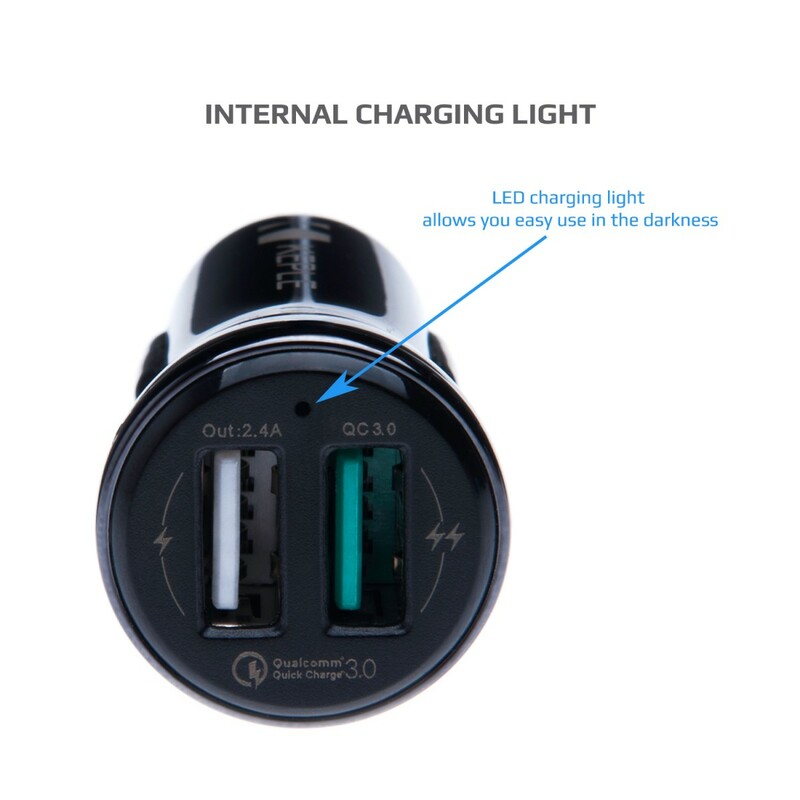 RELIABLE & HIGH QUALITY: Built with PC+ABS fireproof shell and OVP, OCP, OSP protection, this product is CE & FCC & RoHS certified to ensure complete safety & reliability. MAXIMUM CHARGING SPEED: Qualcomm certified IC used to deliver fastest charge speed. 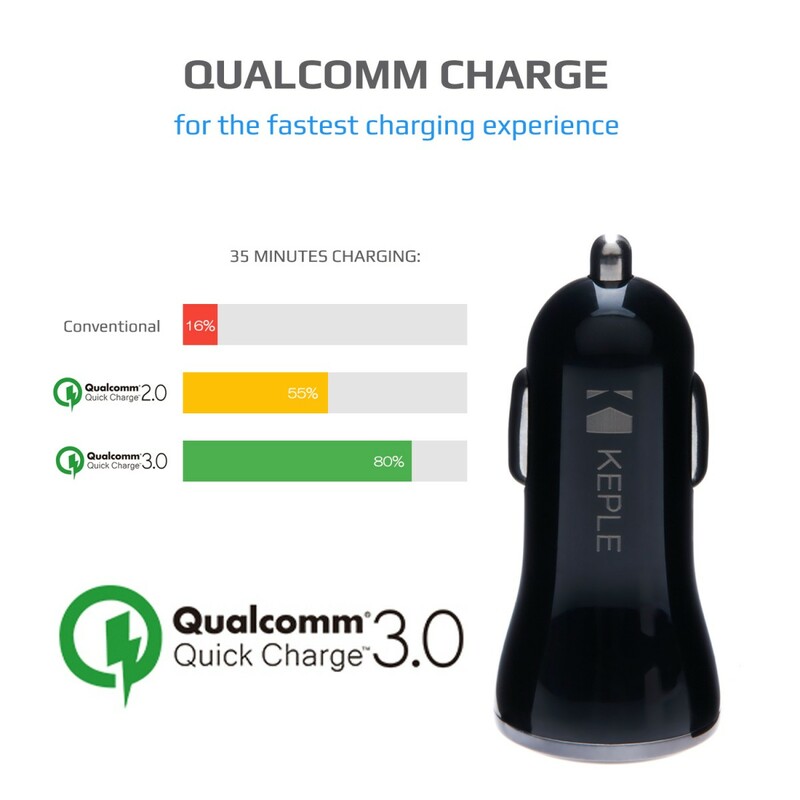 QC 3.0 delivers up to 80% faster charging vs. conventional USB charging, and is 100% backwards compatible with Quick Charge 1.0, 2.0 & 3.0. 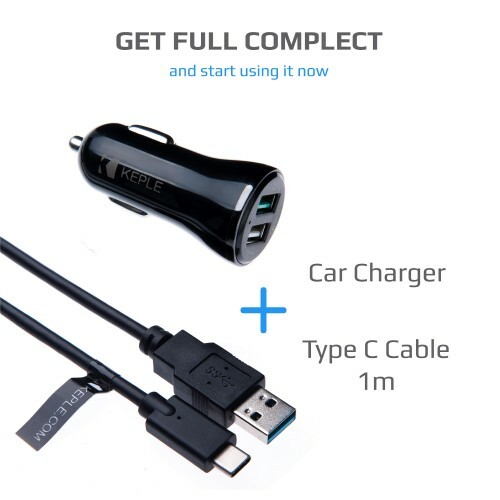 I have this charger in my Honda CRV for charging my phones. 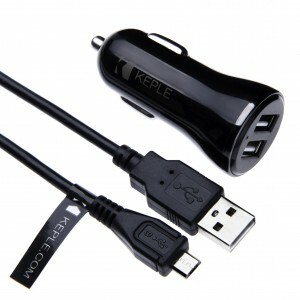 It works perfectly and is a little more expensiove than some others on the net, but it is well made and worth the money.